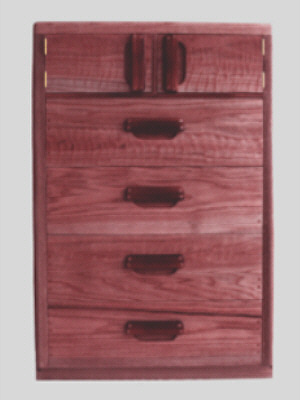 This is the first dresser or chest of drawers I made in 1980. 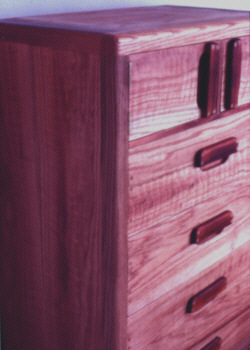 This is still available in a large variety of wood combinations, but with dovetail joinerycasework not used here. 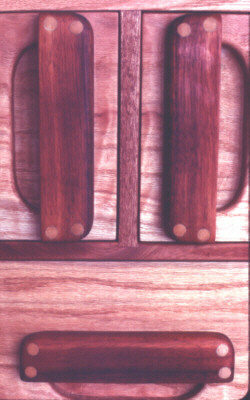 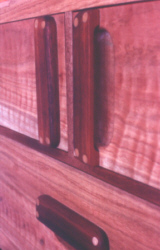 Drawers slide smoothly without the use of metal runners and may have bottoms of aromatic red cedar if desired.